Budgets in Float are like placeholders for cash that might come into or leave the business, allowing you to build up a picture of how the future might look. 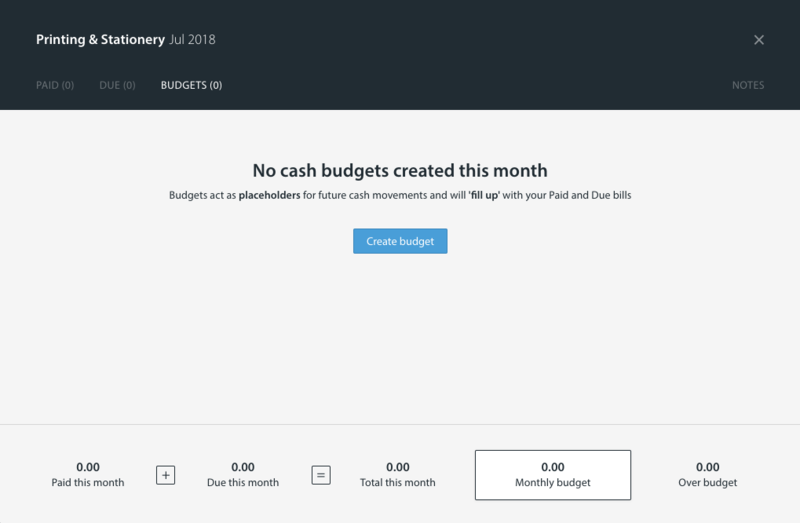 Your forecast is built with the budgets that you enter and each day Float updates itself and pulls in the latest transactions from your accounting software, which slowly fill up your budgets. Once an actual becomes larger than the budget, Float will use the actual amount instead. At the end of the current month, all actuals will be used instead of budgets, ensuring your forecast is as accurate as possible. The 'Payment on' field will update based on the frequency chosen with 'every week' and 'every 2 weeks' allowing a day of the week to be chosen, while 'every month' will be a single occurrence and will allow a specific date to be set on the budget. 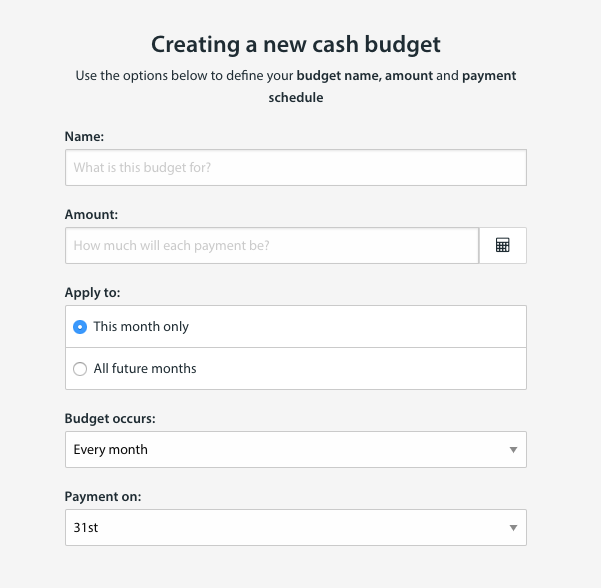 You'll also see an option to 'include budget in cashflow', this allows you to remove a budget from the cash flow calculation without fully removing it from Float. If you would like to set a budget to re-occur, you can select whether this is weekly, biweekly, monthly, quarterly or annually, as shown below. Note: For the quarterly and annual budget options to appear, 'Apply to' must be set to 'All future months'. When set to 'This month only' the quarterly and annual options will not display.